Update 10/29/18: As it has been pre-announced, the 70th version of Chrome has arrived and introduced the red “not secure”. The last two years, Google is making strong efforts to eliminate the use of HTTP protocol. Through Chrome, its own popular browser, the tech giant tries to convince everyone that “HTTPS” is a one-way road. In case you are still not informed (we doubt it), HTTPS is the secure version of HTTP communication protocol, and does something really important: with the use of an SSL certificate, it encrypts the data transferred from and to a website, so that no third party, without permission, can read or steal them. HTTP has no encryption, therefore its a heaven place for aspiring intruders. 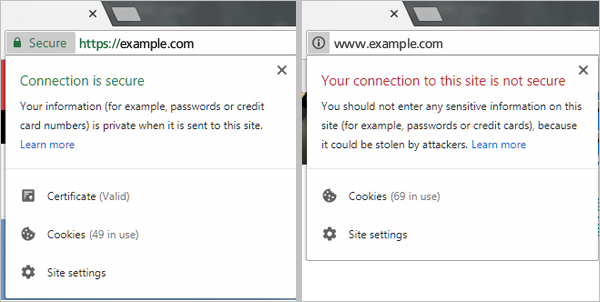 As of now, Chrome tried to inform its users about all the above, by marking HTTPS websites as “secure” and putting a padlock on the address bar. HTTP websites had just an “i” next to them, and only when someone clicked on it, could see more information about the connection’s security. Those days are gone, as the new Chrome 68 which became available on July 24th, brings something new. It is bad for those who insist on using the ancient by internet standards HTTP, but definitely good for the security of the entire web: Chrome 68 marks all HTTP websites as “not secure”! Update your Chrome browser and hop around several websites. You will see for yourself this change, and how bad is a “not secure” mark for the user’s experience. Would someone enter their credit card number on such a website? Probably not, and that’s the point. Google wants to help users realize when they are navigating in a safe environment and identify easier the websites that are not encrypting the data transferred from and to them. 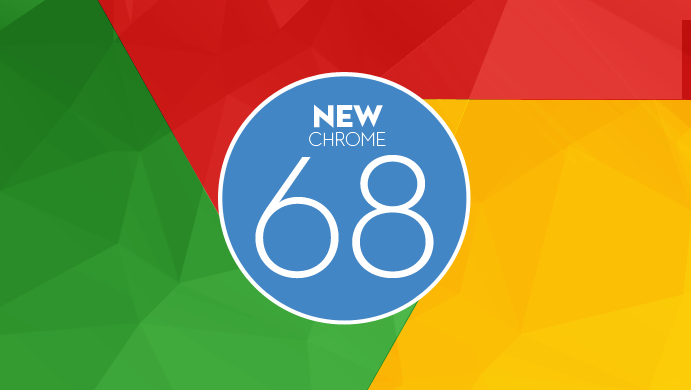 Chrome 68 is just the first big step towards this direction. The following editions of this popular browser, will have stronger marks for HTTP websites and make encryption a default. We will keep you updated for anything new! Until then, make sure that your website is well prepared for the HTTPS era. Get from Top.Host an SSL Certificate that meets your needs. We provide 256-bit encryption, that is the highest standard of security in the certification industry! 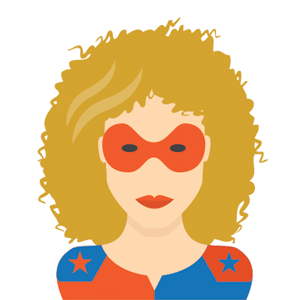 Content Marketing Hero! Her magic power is that she can constantly read and write, without being tired or bored. At Top.Host’s Blog, she chooses and proofreads articles that may be useful for your website. GDPR: Is your website compliant with the new regulation?